ASTANA – Kazkont produces mobile homes primarily for field workers and oil and gas and construction companies. 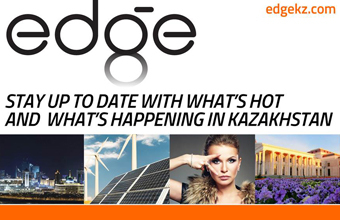 Considering Kazakhstan’s vast territory and severe climate, such products are in great demand. 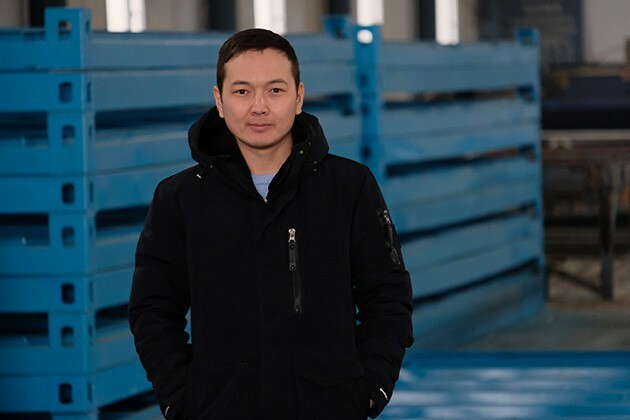 Kazkont founder Raimbek Sagadinov decided to start producing modular homes after working with them for a number of years. On average, the 10-year-old company manufactures 360 homes each year and is planning to automate production. “There was no money and no machine tools for the production, too. At first, we got 70 percent prepayment and bought materials and we got the remaining 30 percent after a modular home was ready. I made my very first home with a friend at a country house,” he said. Kazkont founder Raimbek Sagadinov. Photo creidt: kapital.kz. “As demand began to grow, I realised that I needed a separate workshop with an adjacent territory. We rented a building and this was our first large workshop. Our company developed gradually and in five years we were able to purchase a land plot where our workshop was built and we purchased the necessary equipment,” he added, reported Kapital.kz. The company uses block containers, structures popular as offices, showers, toilets and even homes. 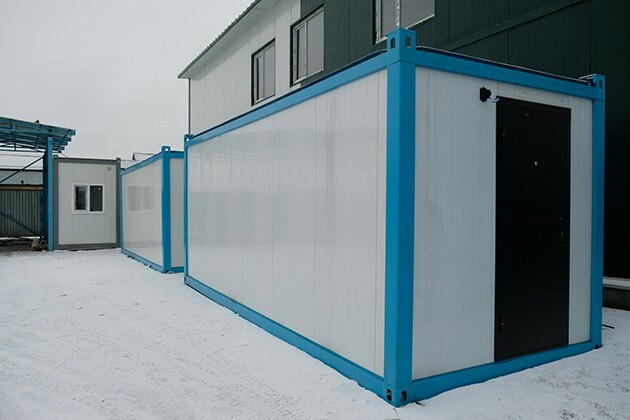 “We often have orders for modular homes for shift workers in the Atyrau and Mangystau regions. In addition, they can be used as commercial premises or temporary structures. People also like to use them as small houses where a land lot is small and they don’t want to construct a house. Of course, a modular home can’t be compared with a real house, but its advantage is that it can be quickly transported and you can live in it,” said Sagadinov. “The demand for products is high, although our production capacity is not so great. Our main customers are different companies. Every month we produce approximately 50 homes and sell approximately 30. In general, we sell approximately 360 homes per year,” he noted. Sagadinov has competitors, but doesn’t pay attention to them. “I believe if there is competition, then the market becomes more alive and production grows. I think that every product has a consumer,” he said. “Kazakhstan is a large country and a significant part of the costs is spent on logistics. Disassembled mobile homes’ transportation allows transporting eight modules, rather than three as it was before, and you can collect them on the site. We produce different sizes – six, eight, nine and 12-metre modular homes, depending on customers’ needs,” he added. Sagadinov recently trained in Germany, where he learned ways to standardise production. “It is unprofitable when each client dictates [his or her] own needs. We continue to stand on our own, offering standardised dimensions. I understand that with the new approach I have lost some clients, but this will help the production to reach a new level and hone workers in a certain skill,” he said.